These wooden tea coasters are now avilable for the best price, which will go a long way to bring a little excitement to your drawing room. 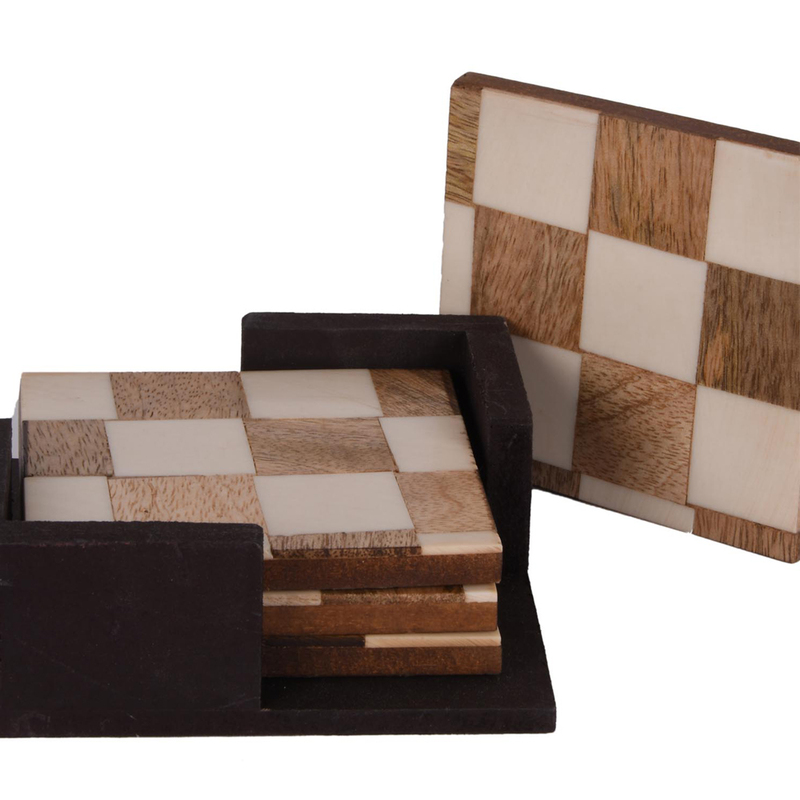 These wooden tea coasters are a classy and attrative alternative to the regualr tea coastres. The set contains five identical tea coasters with the same Read More..design throughout. 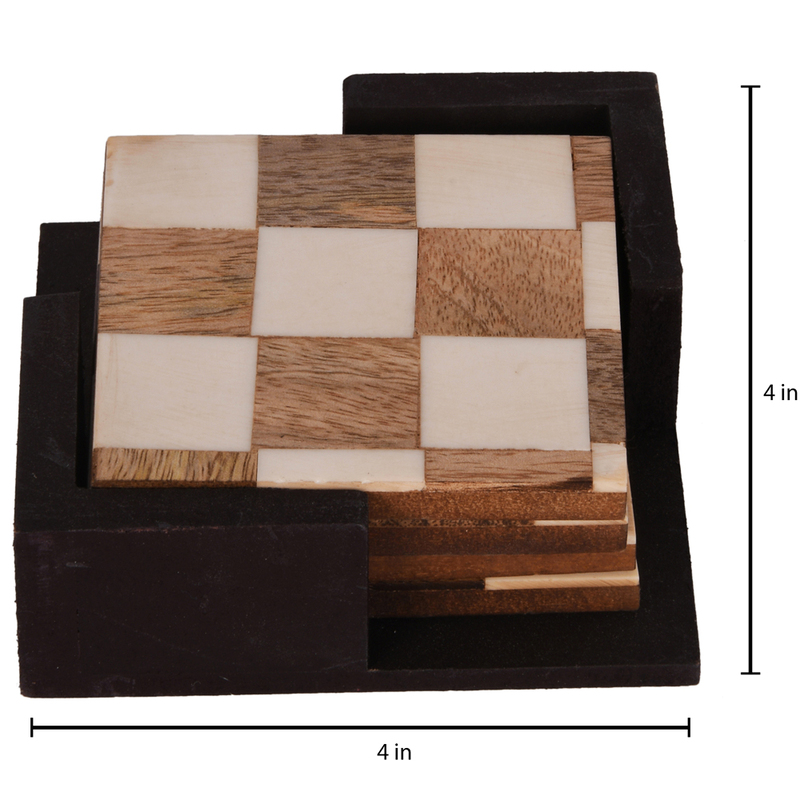 The checkered design of these tea coasters make them look very attractive,and the fact that the polishing of these coasters brngs out the texture of the wood used also helps its case. They are hand made, so the quality and attention to detail is unrivaled by other tea coasters. The case in which the tea coasters come is also very attractive, and the dark brown polish of the case goes very well in contrast to the light brown polish of the tea coasters. Show Less..